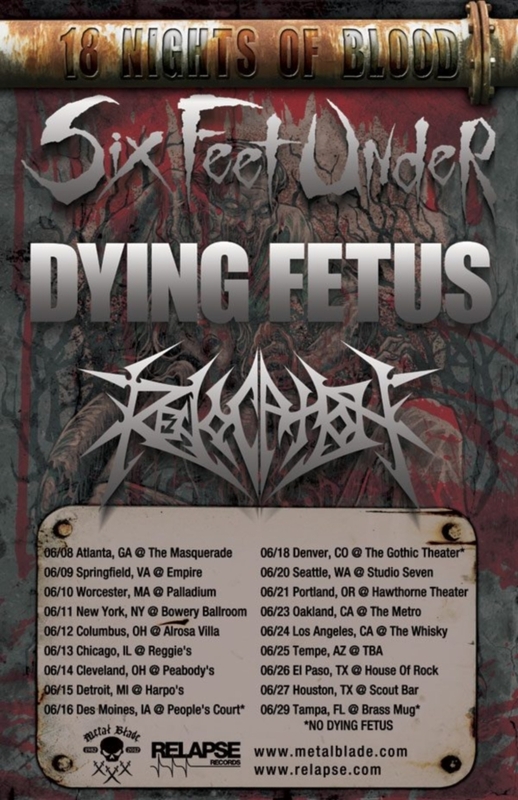 SIX FEET UNDER and DYING FETUS have confirmed that they will be touring together in June with direct support from REVOCATION. I’m proud and honored to be kicking off our first U.S. tour for the release of our new album, Undead with our good friends Dying Fetus and new killers Revocation! This tour is gonna be SICK! June will be murdered! 18 Nights Of Blood! Do not miss this tour.